Free publishing in Horticultural Biotechnology Research. Authors can publish free in Horticultural Biotechnology Research, there will not be Handling, Processing, Proofsetting and Publishing fees. The submissions until May 1, 2019 are absolutely free of charges. 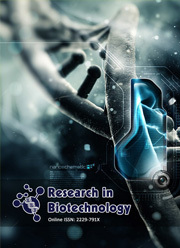 Read More Read more about Free publishing in Horticultural Biotechnology Research. The Horticultural Biotechnology Research [ISSN: 2455-460X] is a peer-reviewed, open access journal that publishes quality articles in different fields of plant biotechnology and genetic engineering. The journal welcomes the submission of original manuscripts (Please see Plagiarism Policy) that meet the general criteria of significance and scientific excellence. See Horticultural Biotechnology Research detailed Aims and Scope.